The heaths are a super family of butterflies with their various eyespotted undersides. However, whereas pamphilus is widespread and common, all the others are fairly local and need a bit of searching out. 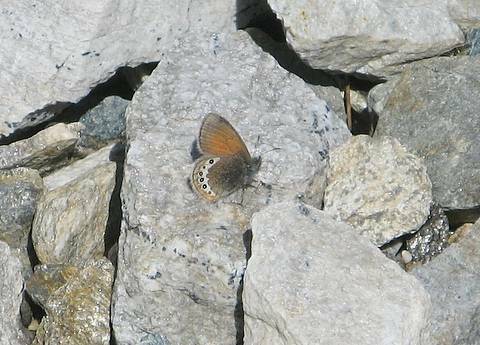 Some are even among the rarest species in western Europe such as False Ringlet and Scarce Heath. The Alpine Heath seems quite common up in the high Alpine meadows. Fresh adults are very photogenic but this one just above looks like it's been dragged through a hedge backwards! !